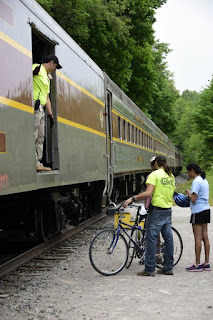 Rocky River Bicyclists: Step Up to Support Cuyahoga Greenways! Bike Cleveland, Bike Lakewood, and Cuyahoga Greenways are looking for help from local bicycling advocates in Rocky River! 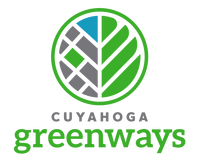 If you weren't already aware, the Cuyahoga Greenways effort has identified a candidate regional bikeway route from the Edgewater Park bike path west through Lakewood and Rocky River and into Bay Village. There is no timetable or plan to implement this yet, and making it happen will require cooperation between local governments and regional planning. 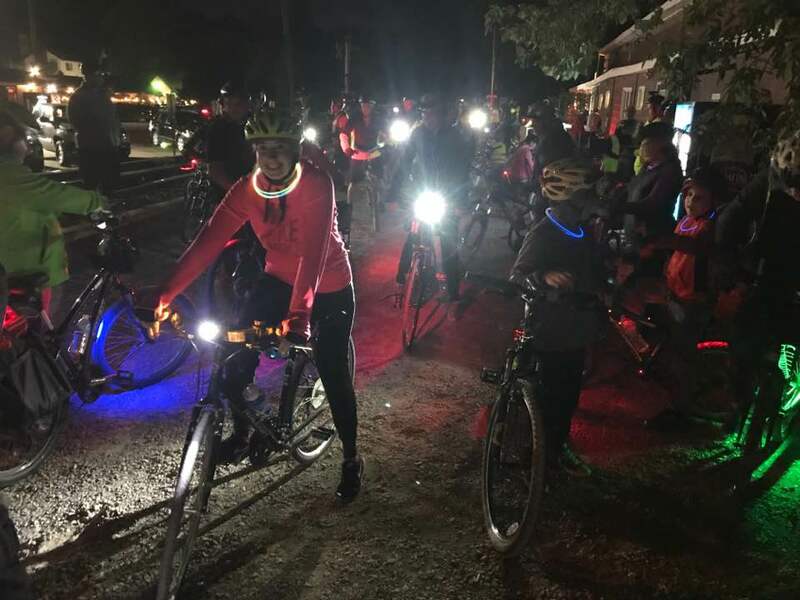 One step that you can take right now toward making this bikeway a reality and growing momentum is extending the bike lanes from the Clifton Boulevard Extension in Lakewood across the bridge into Rocky River. We need help from local advocates in Rocky River to make this happen. These bike lanes will work toward the goal of the regional bikeway and also eliminate confusion with the changing lane configuration headed east over the bridge. Thank you for stepping up to help in this effort. If you know of other residents and/or area advocates that can help - please share this messaging with them. Thank you from Bike Cleveland and from Ben Van Lear - Bike Lakewood Board. Now in stock: The new Salsa Journeyman Adventure Road Bike! The Salsa Journeyman has been one of the most-anticipated new products for this season. We've now got them in stock in all three Century Cycles stores! 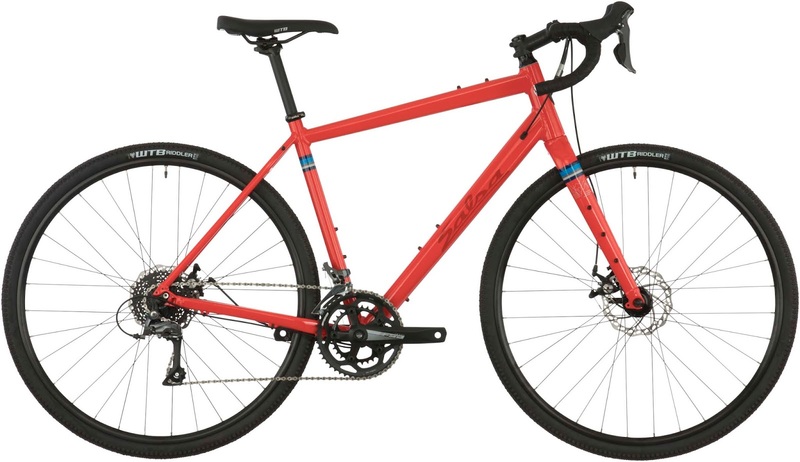 With looks inspired by Salsa's popular Warbird adventure racing bikes, and a comfortable riding position inspired by the Vaya adventure bikes, the Journeyman brings a versatile adventure road bike to an attractive entry-level price point. All Journeyman models feature a lightweight and responsive aluminum frame that's built to handle the demands of riding on paved and unpaved surfaces, and ready to carry you and your gear across all the gravel, fire, and back roads you can dream of. The forks have Salsa's 3-Pack mounting eyelets for the Salsa Anything Cage or Anything Cage HD for a lightweight way to carry cargo, or you can use standard front and rear cargo racks, plus full coverage fenders! Upping the ante in versatility, all models also allow you to use 700C wheels with tires up to 50mm wide, or when the going gets really rough, switch to 650B wheels with tires up to 56mm wide. The parts are designed to give you great value for your money. 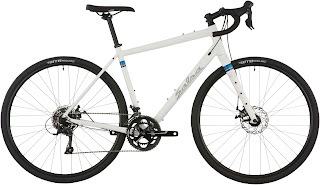 The Journeyman Sora ($1,099.99) features a Shimano 2x9-speed drive train, and a carbon fork. 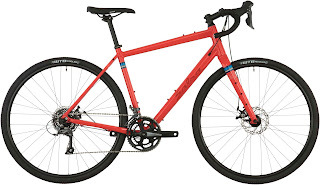 The Journeyman Claris ($899.99) features a Shimano 2x8-speed drive train and an aluminum fork. Both models feature mechanical disc brakes, a hill-climb tackling 46T/30T sub-compact double crankset, and tubeless-compatible rims. The folks at Path Less Pedaled gave their first impressions in this video review on the day of the Journeyman's official launch last month. 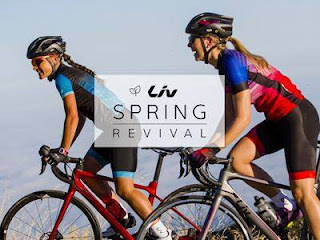 Highlights of their thoughts are "Responsive without being overly twitchy" and "one of the best entry-level adventure road/gravel/bikepacking bicycles on the market." 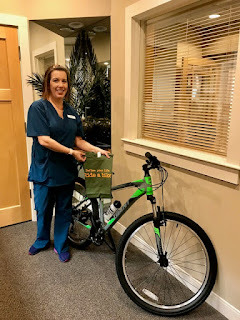 Win a Giant Bicycle from David J. LaSalvia DDS in Westlake! David J. LaSalvia DDS offers dental services for the whole family in Westlake, Ohio. 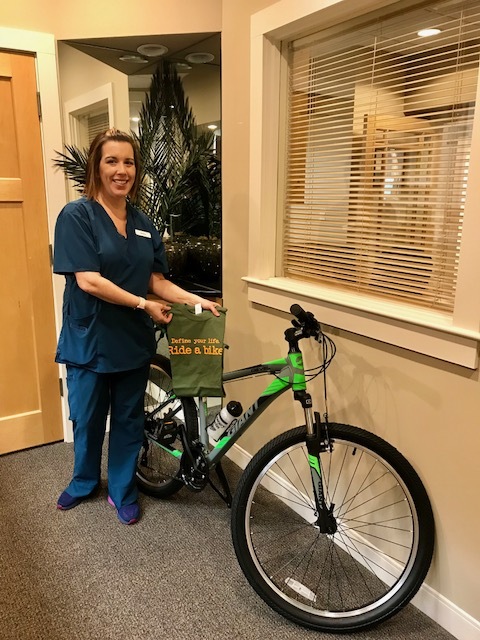 Visit their friendly staff and enjoy outstanding service in their new state-of-the-art office, and be entered to win this 2018 Giant Revel 2 bicycle! 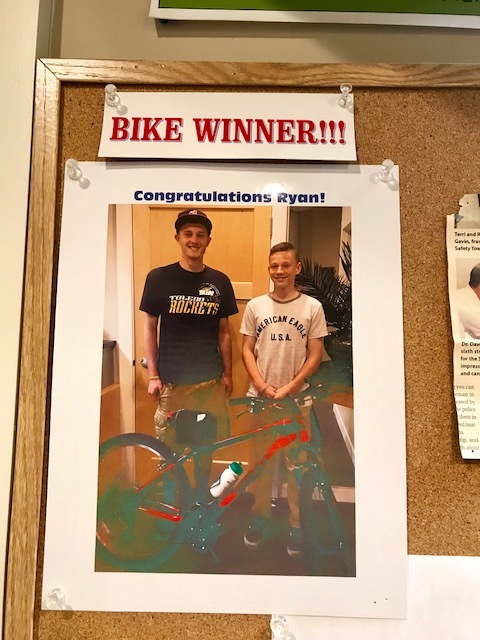 The bike is valued at $379.99, plus it also includes a kickstand, water bottle with holder, and of course, one of our famous "Define your life. Ride a bike.™" t-shirts! Congratulations to Ryan, the winner of the 2017 bike giveaway from David J. LaSalvia DDS!